Far too many business books start with the false premise that offering meaningful insight requires exhaustive detail. They demand a huge investment from readers to wade through all the information provided and draw out what is relevant to them. In a rapidly changing, time-starved world, it’s an approach that’s getting wronger and wronger. What CEOs and other busy business people desperately need is high-level strategic insight delivered in quick, simple, easy-to-digest packages. 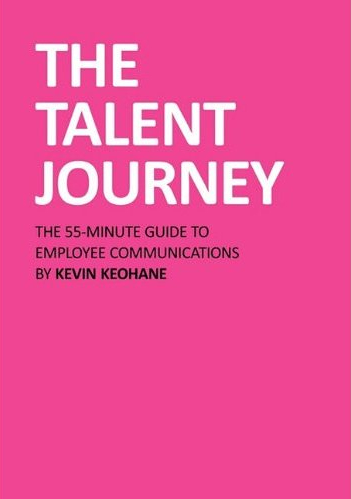 Co-created by Kevin Keohane and Dan Gray, that’s exactly what the 55-minute Guides are designed to do. Instead of some 300-page pseudo-academic tome, they offer fresh perspectives and “must knows” on important topics that can be read from cover to cover in the course of a single morning’s commute or a short plane ride. In short, they are the antidote to most business books. A quick read, not a long slog. Focused on big ideas, not technical detail. Promoting joined-up thinking, not functional bias. Written to empower the reader, not to make the author look clever. They’re guided by the simple principle that insight gained per minute spent reading should be as high as possible. No fluff. No filler. No jargon. Just the things you really need to know, written in plain English with clear and simple illustrations.